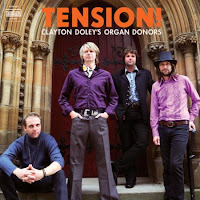 Friday Blues Fix continues our look at Australian Blues with keyboardist Clayton Doley. 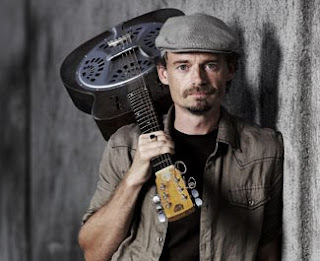 Doley has spent several years backing guitarists Harry Manx and Eugene "Hideaway" Bridges, as well as Joe Bonamassa, Hubert Sumlin, and Walter "Wolfman" Washington. While doing this, he has also maintained a busy solo career, releasing several albums, including his latest, Bayou Billabong. 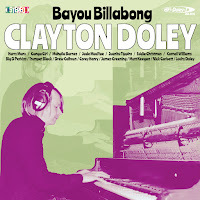 Doley split time between Sydney, Australia and New Orleans to record Bayou Billabong, which makes sense because he is well-versed in the music of the Crescent City. Guest musicians from N.O. 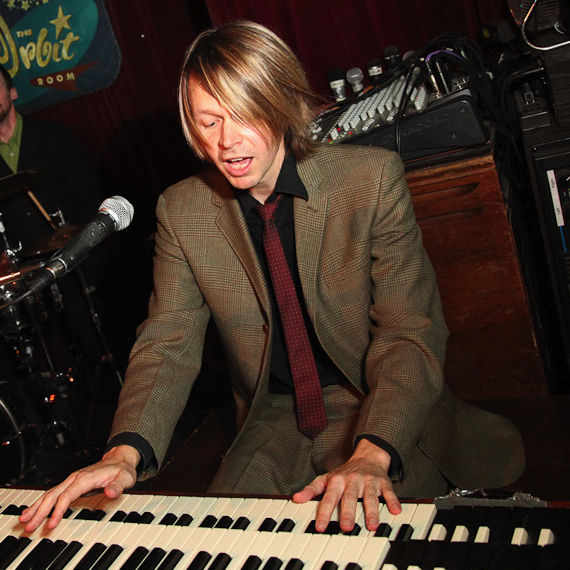 include several members of Jon Cleary's Monster Gentlemen, who serve as Doley's rhythm section throughout, plus the Treme Funktet, which consists of several members of the New Orleans funk outfit Galactic and Trombone Shorty's Orleans Avenue. Doley's own Hi-Fi-Doley-T Horns more than hold their own as well, and Manx even stops by to play guitar on a couple of tracks. 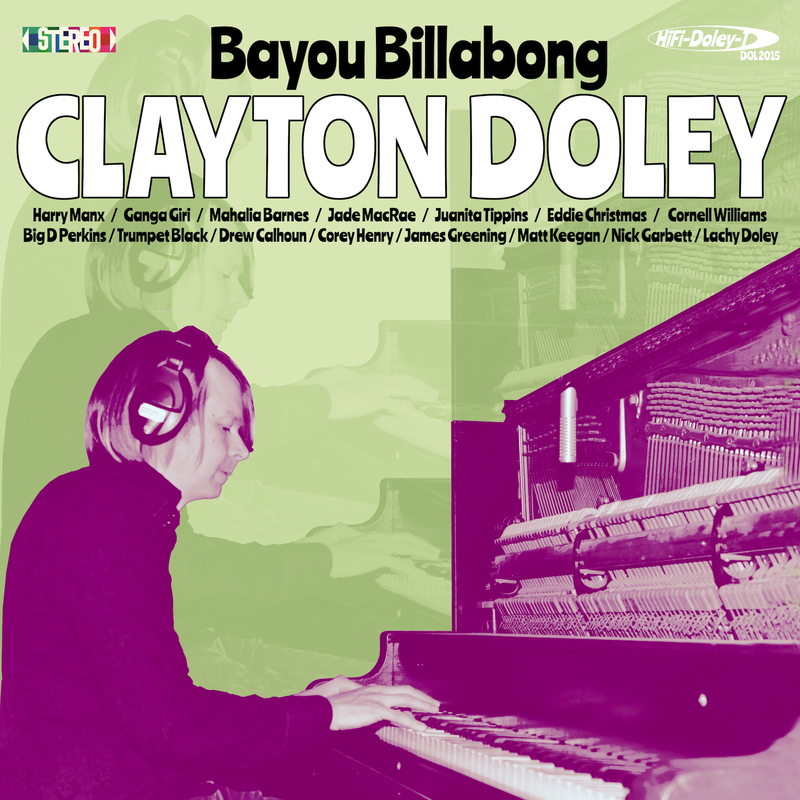 There's plenty of great music on the disc that will make fans of New Orleans Blues and R&B happy, but Doley also mixes influences from Down Under as well, especially on the instrumental title track, which features Manx and Didgeridoo virtuoso Gangi Giri. 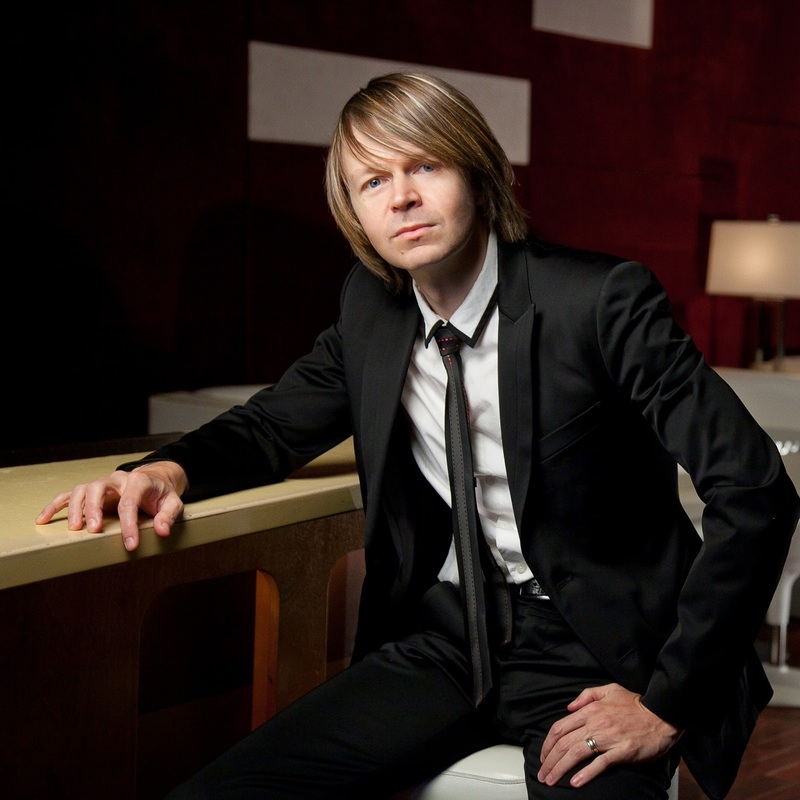 Mr. Doley graciously agreed to take part in Ten Questions with FBF, discussing his career, his influences, and his view of the Australian Blues scene, and we appreciate his taking the time to do so. You can find out more about him and his previous, current, and upcoming projects at his website, but after you go through the Ten Questions, of course. Friday Blues Fix: Can you describe the blues scene in Australia? There’s obviously a considerable amount of interest in the blues there. How long has this been going on and how do you explain the appeal of the music to fans down under? Clayton Doley: The scene is pretty healthy here in that there great bands and a community of fans that support the local talent. 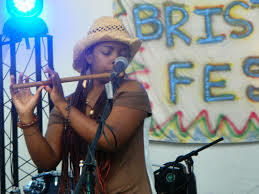 There are some great Blues festivals, particularly the Byron Bay Bluesfest which brings out some of the worlds best Blues artists. However having seen the scale of the Blues scenes in other countries I now realize that the Australian scene is tiny in comparison, Australia just doesn’t have the population that America and Europe has so inevitably the scene is smaller but that is probably why we support each other and try to nurture the new talent and the next generation of players. I guess Australia was probably introduced to the blues through the British bands and then discovered the original blues after that. It’s a little before my time but I know that Muddy Waters toured Australia in the early 70’s, so there must have been a scene then. 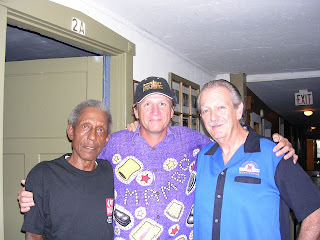 A friend of mine with whom I used to play with when I was growing up, and the person who taught me the most about the blues, actually opened for him on that tour. It would have been incredible just to get to see Muddy play, let alone get to open for him and meet him. FBF: What kinds of music did you grow up listening to? CD: I was an unusual child, I really only listened to 50’s Rock and Roll music. I was lucky enough to be introduced to that style from about age 10 when I first started playing the piano, I loved Little Richard and Jerry Lee Lewis so much and their music was perfect to bang along on the piano with. FBF: Can you describe how you discovered the blues? When you became a fan, who were some of the artists that you listened to? CD: Discovering the Blues seemed a natural progression from the 50’s Rock and Roll that I was listening to, once I discovered 60’s Chicago Blues I become completely obsessed by it. It really was my whole life and I guess I became a bit of a blues nerd. My favorite piano player was Otis Spann and I collected everything I could of his, so I bought lots of Muddy Waters records that he played on. FBF: In making your latest album, Bayou Billabong, you journeyed to the Deep South to record part of it. What were you able to get from this experience that was different than if you had remained in Australia to do it? 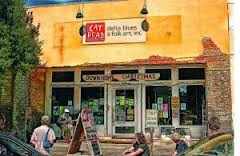 CD: In the last 5 or so years I have been spending about 3 or 4 months of each year touring around North America and Europe so I have had the opportunity to visit the deep south and soak up the atmosphere see some great music. I found being in New Orleans in particular very inspiring for writing songs, it gave me the idea that the new songs should be recorded in New Orleans by local musicians. I had the Monster Gentlemen, Jon Cleary’s amazing backing band, in mind all along for this project. I have known them for many years and we have worked together a few times when they have been touring in Australia. Recording in New Orleans was a fantastic experience, it was a bit scary being so far out of my comfort zone but I feel the nervous energy brought out the best in my playing as well as fueling the energy of the session. The other really great advantage was being able to choose the incredible horn players that are on the album. New Orleans has the Marching Brass Band tradition that seems to make all the horn players so intuitive. It was great to be able to get some of the real deal marching band flavour on the recording, it made a huge difference and really validated the project. FBF: What was it like for you when you made your first trip to the land where the blues began? CD: The first time I set foot on the ground in New Orleans I felt like I had come home. It was completely foreign and strange in one way but also strangely familiar because I have been such a student of the music and culture for so long. It’s a funny feeling when you recognize street names from songs and buildings from books and album covers. These days I know so many people there that it really is like a second home now. FBF: Can you describe your particular brand of blues? Do you blend other musical styles with the blues? CD: My brand of blues is on the Soul/Jazz side with a bit of New Orleans Funk thrown in. I try to stay away from the normal blues stereotype, I love the blues as a traditional art form but I also believe it needs to evolve naturally to stay current. 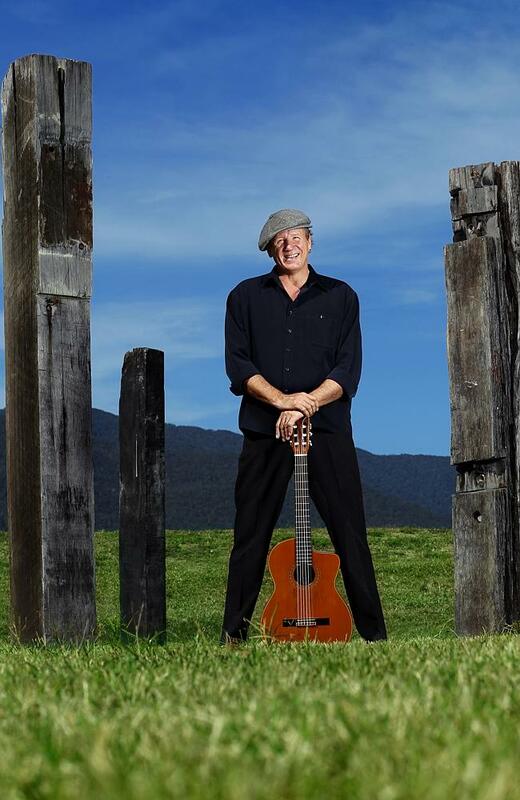 It’s important to blend styles and I try to add some Australian flavor to my blend of blues, it’s only natural to do so when you are a songwriter and inevitably write songs about Australian experiences. 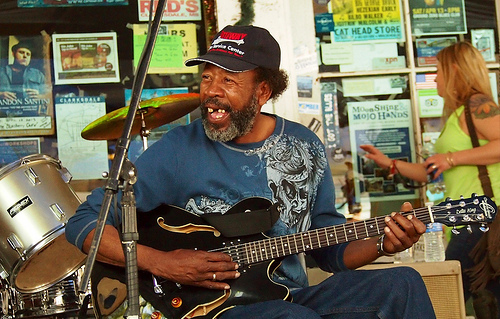 FBF: Who are some of your influences as musicians, blues or other genres? CD: Booker T and the MG’s are still to this day my favorite all time band. I love all their original instrumental songs but I also love them as a backing band for other artists. 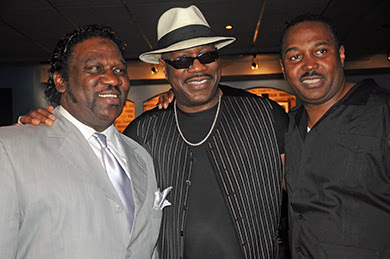 Booker T is the undisputed master of getting the most tones out of the Hammond Organ, I have learned so much from him, especially his use of the spinning Leslie Speaker and volume pedal. Other Organist I love include Billy Preston, Jimmy McGriff, and Art Neville. 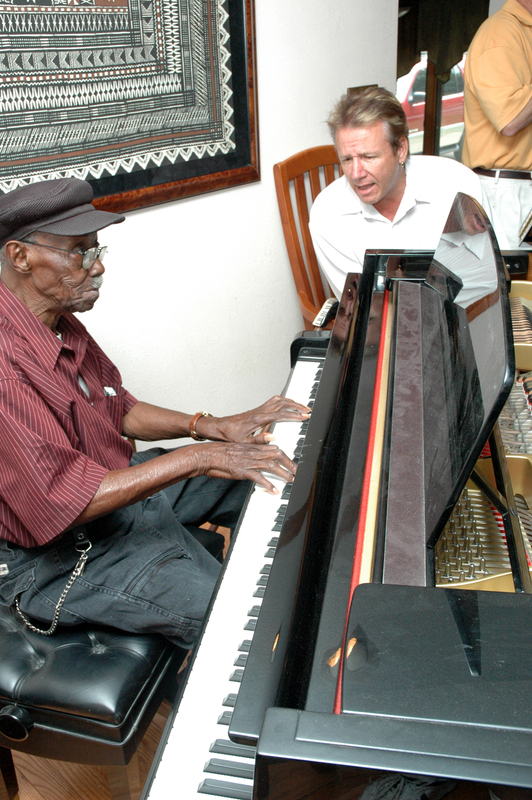 Piano players I really love include Otis Spann, Professor Longhair, Meade Lux Lewis, and Oscar Peterson to name a few. FBF: Can you describe your songwriting process? Who are some of your influences as composers? CD: Some of my favorite songwriters would have to be Willie Dixon, Allen Toussaint, and Bill Withers, they have a clever way with words but are also very honest and humble. I aspire to that and I often think about how they would approach a subject before I attempt to approach it. For me, I always start with chords and melody then add the lyrics later, I feel the song should have a melody strong enough to be an instrumental piece otherwise I discard it and start again. When it comes to writing lyrics I often write lots of verses describing a situation then when the subject matter has evolved enough I write the chorus and the hook, then I go back to the verses and usually I just pick the best two verses. FBF: What has been your biggest moment as a blues artist? CD: I am probably the most proud of getting to perform and be part of a great recording project with Joe Bonamassa last year, but there are plenty of other highlights. I have been very fortunate to have played with many of my heroes over the years when I have been in the backing band when Blues Artist such as Hubert Sumlin, Big Jay McNeely, Louisiana Red, have toured Australia. I also got to play with Steve Cropper and Duck Dunn when they came to Australia, that was a moment where I had to pinch myself. I have also opened for Albert Collins, BB King, James Brown and the Meters at various times. FBF: What would you like to do as a musician that you haven’t done yet? CD: I would like to play at the New Orleans Jazz and Heritage Festival, it really is a dream of mine. I was lucky enough to play at the Montreal Jazz Festival a few years ago and that was a dream come true but I would like to be able to say I have played both those festivals. Fingers crossed. FBF: Can you tell us about any of your future projects? 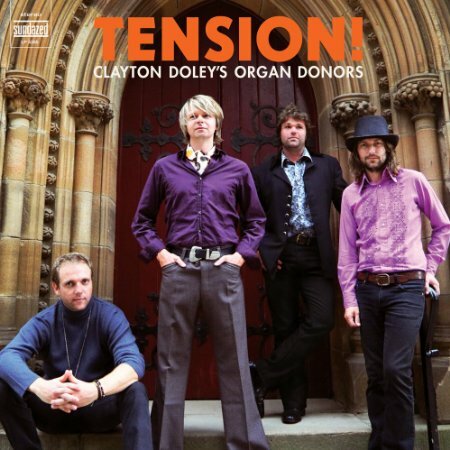 CD: I would like to do another instrumental album, I have made one already back in 2010 called Tension by Clayton Doley’s Organ Donors and it is such a different way of making and album. When there are no vocals you really concentrate on the sounds more because you have to keep it interesting for the listener. I like to experiment with vintage equipment and tape machines for effect when I record. Using soundscapes in the blues genre has not really been explored that much and it would be fun to try some ideas out soon. FBF: Who are some other Australian blues artists for us to look out for? CD: I love Ray Beadle, if you have not heard of him, definitely look him up. I have known him since he was a young boy and he was turning heads then and now he has turned into one of Australia’s most unique blues guitarists. Over the years we have worked on the occasional project together and I have witnessed his musical growth. He is certainly a force to be reckoned with. My other favorite is Dave Brewer, most notably from the Mighty Reapers. I have been playing with him quite regularly for almost 20 years. He is a great friend and an absolute firecracker of a guitarist, every gig is like an explosion if ideas and energy. You must look him up too. People may not be aware of it, but there is a big blues fan base in Australia. That's because there are some excellent blues musicians there, and have been for many years. I've had the pleasure of reviewing CDs from several Australian artists over the past 15 years with Blues Bytes, and there's a pretty diverse group, playing different styles of blues.....keeping one foot in the traditional styles of the blues, but also mixing in some new and fresh sounds from their home country to spice things up. For the next few weeks, Friday Blues Fix will be focusing on a different blues artists from the land down under. 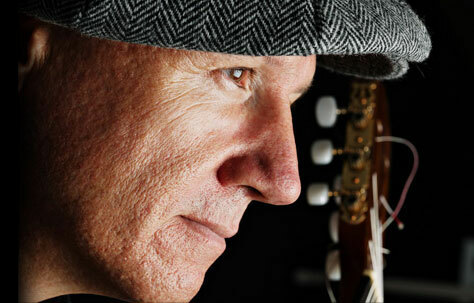 This week's featured artist is Sugarcane Collins, who is a 35-year vet of the Australian music scene. 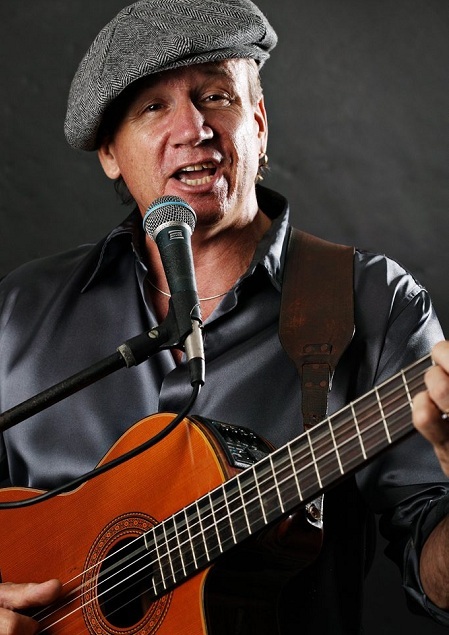 Last year, he was selected Australian Male Blues Singer of the Year. I reviewed Collins' Way Down The River CD back in 2009. If I hadn't known better while listening to it, I would have thought he was a native Mississippian. For Collins' latest release, Going Back To Clarksdale, the singer/guitarist traveled from Queensland to New Orleans to Clarksdale, mixing musical influences from all three places, not to mention musicians from all three places. A lot of these songs are familiar ones for blues fans, but Collins' does a lot of "out of the box" explorations with the instrumentation and melodies of these tunes, transforming them into something fresh and new. We hope you enjoy this Ten Questions. There's more music from Down Under on the way in the coming weeks. We thank Mr. Collins for his time and patience. Sugarcane Collins: There has been interest in Blues music in Australia for a long time; even if the initial interest was through it's connection to Jazz, which was after all, the western world's popular music of the 1920's and 1930's. Just like most white folks in the USA, we too in Australia missed the Country Blues boom of the late 1920's early 30's and the Chicago Blues boom of the 1940's and 50's. Apart from the black audience is was aimed at, it was only a handful of white US musicians who showed much interest in Blues, and then when black tastes changed, the Blues was barely hanging on till the British Rock invasion of the 1960's changed the western world of music. And here the Rolling Stones must take a lot of the credit for reintroducing the Blues back to the USA and the world in general. They could not believe that Muddy Waters and Howlin' Wolf and B.B.King etc etc were not American musical icons and they set about rectifying the situation and demanding their Blues heroes be seen and heard. So just like in the USA, we in Australia also got turned on to the Blues in the 1960's, and once the black genie was finally let out of the bottle there would be no turning back. 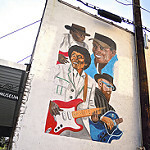 Music lovers in the USA and the world over were now exposed to the Blues universe and started to see just how important the Blues had been in the development of modern western music. Jazz, Gospel, Soul, Rock & Roll etc - all had their beginnings in the Blues. When Willie Dixon said "the blues is the roots, everything else is the fruits" he was right on. And Sonny Terry & Brownie McGhee were telling no lies when they sang " the blues had a baby and they called it rock and roll". We mirror the USA in many ways as far as the current 'Blues scene' goes. Just like in the USA, Blues represents around 1% of the music market and just like the USA, most Blues fans are in the 50 years plus bracket. Just like the USA, we have Blues festivals and Blues friendly venues and just like in the USA, we aussie Blues musicians also struggle to make a living playing Blues. I guess the only thing we have over the USA in our Blues history would be that an aussie Blues band called Chain had a song called "Black & Blue" go to Number 1 on our Top Forty Hit Parade on commercial radio back in 1971. No Blues band in the USA can lay claim such an achievement. SC: Like most people I was brought up on a diet of popular culture via TV and Radio. I always had a voice and was always singing along to anything l heard. I sang in a church choir and did Gilbert & Sullivan/ Paint Your Wagon/ Oliver/ My Fair Lady etc when I was at school so I was aware of the diversity in music and revelled in it. My father loved to sing Al Jolson, Frank Sinatra, Tony Bennett et al at parties and as we were driving along so there was always music happening in one form or another. Being born in 1955 l guess l was fully aware of Elvis/ Buddy Holly/Little Richard/Jerry Lee Lewis/Johnny Cash/The Beatles/Rolling Stones/Animals/Cat Stevens/Neil Young/ Creedence/Zepplein/Beach Boys/Pink Floyd etc etc etc. SC: A year or two after leaving school l was driving around in my car, probably 1974, and surfing the radio when I chanced upon Sonny Terry and Brownie McGhee that sweet sound of harmonica and guitar playing the country blues. I don’t remember which song it was, but I do remember that it changed my life! I had always felt culturally connected to the Irish based bush ballads and folk songs that had been sung around the camp fires of Australia, after all it was my heritage and I grew up in the bush, but when I heard black American men and women playing and singing their folk music, I knew I had found something that went much deeper. That acoustic guitar and harmonica sounded so alive and raw and real, not to mention those rich expressive voices. I was nineteen years old and all of a sudden acoustic blues became my passion. I got my hands on records by many many old blues guys like - Blind Lemon Jefferson/Blind Willie McTell/ Tommy Johnson/Charlie Patton/Willie Brown/Leroy Carr/Crying Sam Collins/ Memphis Jug Band/ Honeyboy Edwards/Robert Johnson/Funny Papa Smith/Robert Nighthawk/Blind Boy Fuller etc etc etc - and l love them all but l guess the ones who influenced me most were Leadbelly, Blind Blake, Son House and Lightning Hopkins. And I was also discovering King Oliver, Jelly Roll Morton, Bessie Smith, Fats Waller, Django Reinhardt, Bob Wills, Moon Mullican, Woody Guthrie, Bill Monroe, and the list goes on and on and on. FBF: In making your latest album, Going Back To Clarksdale, you journeyed to the Deep South to record part of it. What were you able to get from this experience that was different than if you had remained in Australia to do it? SC: Well l guess the obvious answer is that l would not have got all those fabulous African-American musicians on my record! If you want New Orleans rhythm and brass sections then you gotta go to N'awlins, baby. 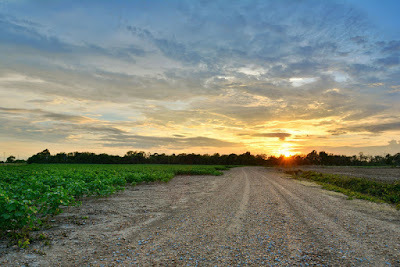 If you want a lazy old Mississippi back beat then best you head for the Delta! Sure, some Australian musicians have a handle on all that, but if you are looking for a splash of authenticity and a dash of adventure, then why wouldn't you do some recording whilst you are in the States. And besides, believe it or not, it's a lot cheaper ( it was back in 2012! ) to record when you are in the USA than in Australia. SC: I first came to the USA in 1980 and bought a car and spent six months driving and free wheeling and bouncing around North America. I went as far north as Banff in Canada and as far south as Lake Atitlan in Guatemala, swinging over to the Yucatan via Palenque and also down into Belize. It was a gas. I was riding with a cat who thought he was the reincarnation of Jack Kerouac! Man, did we get into and out of some situations including being robbed at gunpoint in Acapulco!! I turned 25 in San Marcos California but it took twenty five more years before l got back to the USA for the second visit in 2005. By then I had raised the family, bought the house, had the music career up in far north Queensland and decided it was time for my Blues Odyssey. So in 2004 l sent out applications to Blues festivals all over the States and managed to snag a spot at the 2005 Winthrop Rhythm & Blues Festival up in Washington state alongside Coco Montoya, WC Clark, The Mannish Boys etc etc. Beauty! I now had something to aim for so l flew into wonderful wonderful New Orleans in early June 2005, spent three weeks celebrating my 50th birthday to the max, then flew up to Seattle and hooked up with US singer/songwriter Alice Stuart for a week then rode a Greyhound bus to Spokane to do my first gig in the USA. I had just missed the cut at another festival in the area called The Rock Cut Blues Festival (l have subsequently appeared there in 06/08/010/12/15) and Bill the festival boss offered to put me up and find me a few gigs in the week before Winthrop. So he and his son Danny picked me up at Amtrak/Greyhound in Spokane and took me to the Bronco Inn where the gig was at. I walked in and there is a poster of me right next to a wanted poster (see picture at left) for some dude called "Hush" offering a $2500 reward. Things were looking good for an interesting night. In fact, it was a downright hoot. Bill's P.A. was absolute crap, the crowd were a motley crew of old drunks and big blonde floozies asking all the usual questions about which way does the water swill down the toilet and do all Aussies drink Fosters, etc. and l just cranked it up and went hell for leather and the motley crew loved it and the big blondes wanted photos with me and l won't be forgetting my debut gig in the US of A. Next night and next gig things got even more interesting when Bill and a local DJ had a blue! (Australian for a fist fight) It was starting to feel like back home in far north Queensland!! Anyway, the adventures only got better and by the time l took a Greyhound Bus from Spokane to Chicago - that's a 40 hour ride - and another on down to Memphis and another further on down the road to Clarksdale, Mississippi and then back to New Orleans and just getting out two days before Hurricane Katrina hit - I had been crowned the new Sugarcane by piano tickler Leon Blue at Winthrop/ jammed with Pinetop Perkins in Bloomington, Illinois/ met Honeyboy Edwards in Clarksdale and performed in the street at the Sunflower River Blues & Gospel Festival and be told by some older African American peoples that " Sugarcane, you got something going on!" - my blues odyssey had become my Blues Initiation and l am currently on my sixth tour of the USA in the last ten years. FBF: Can you describe your brand of blues? Do you blend other musical styles with the blues? SC: I'm an old time story telling solo acoustic bluesman who plays a whole range of acoustic styles, i.e. Piedmont /Ragtime/ Delta etc on an acoustic guitar. A decade ago Mark Hoffman, who wrote the Howlin' Wolf biography said, and l quote, "Sugarcane’s guitar playing and vocals are stellar, and so authentic that you'd think he grew up picking cotton by day and belly-fiddle by night near Tutwiler, Mississippi". He hasn't been the only US music critic to say that sort of thing, and I've always been more than glad to accept that kind of evaluation as to where my blues is at. In the studio as a songwriter and record producer l have always been prepared to push the boundaries and blend all kinds of instruments and tinker with styles and feels and mold them into what l consider to be a cohesive and hopefully interesting blues sound that helps to tell the story. For me, the lyrics of the song come first. Live on stage, it's one voice, one guitar, no pedals, no stomp box, no gizmos, no gadgets, just blues plain and simple that harks back to the days when blues had something more to say than just baby baby baby and one ponderous guitar solo after another. SC: When l arrived in Cairns as a 23 year old musical novice back in 1978 l was very fortunate to connect with a bunch of older blues and folk musos who had had careers in Sydney/Melbourne etc in the 50's and 60's and were now retired and living in the bush. They sort of recognized l had some talent and took me under their collective wings and introduced me into their bohemian musical way of life. Old rascals by the name of Donny Andrews and Chuck Hutchins and another cat Geoff Munton certainly aren't household names back in Australia but they sure were important to me. They encouraged me and helped me to believe that l had something to offer and that a life in music was a life worth living. FBF: Can you describe your songwriting process? Who are some of your influences as a composer? SC: Different songs are conceived in different ways. Sometimes it starts with a little chord change, sometimes a small lyric line and sometimes a song will almost appear out of nowhere and write itself; chords, verses, chorus, lyrics and all done in four or five hours. And don't you love those! On the other hand some song ideas will take years to complete. I will return to whatever l've got and fiddle about and finally get that middle eight and that extra verse and just keep coming back till l've got it. I've had songs that took ten years to finish. Another impetus for songwriting is when you are doing an album. There's nothing like a deadline to make you sit down and really concentrate, cause if you piss fart around in the studio it's going to cost you money. Re influences from other composers - l guess we are all building on what has come before us, no matter who we are, and that includes all the greats. Everyone borrows from everyone!! Here was an Aussie boy singing back their culture to a group of older African American people. Well you could have heard a pin drop and they never said a word till l had finished and then it was like a window had opened and they took me into their confidence and started telling me stories about what it was like to be black and growing up and living in the Jim Crow south. WOW! And to top it off they told me "Sugarcane, you got something going on!" That's high praise coming from African Americans and that kind of validation is gold. It was then l felt as if l might be a blues artist after all. SC: Well l don't want to sound too crass but after 35 years in the business doing many styles of music as soloist, band leader, songwriter, recording artist, festival performer, national & international touring artist, multiple award winner blah blah blah there's not a lot left to do that l haven't already done; albeit on a small scale as an independent artist. I guess a number one hit record would be the cherry on top but l'm afraid that ain't going to happen. 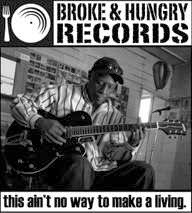 SC: Right now l'm out promoting my latest album Going Back To Clarksdale and don't have any new projects in the pipeline. Maybe one of these days l might go back over the back catalogue of recordings l did back in the 1980's when l was doing Folk and Bluegrass and Western Swing and Cajun and Country & Western etc. They were grand times and l covered a lot of eclectic ground. SC: Good question. I live far from the mainstream of Melbourne/Sydney/Brisbane etc and only ever see other Australian blues artists when l do festivals. Puggsley Buzzard is a hoot, Andrea Marr is a sassy gal with a swinging band, Mojo Webb can do it all and there is a young band from up my way in Cairns, Queensland called The Montgomery Brothers who have a good understanding of electric blues and if they can commit to the music and stick together they could have a real bright future. Want to hear more?? 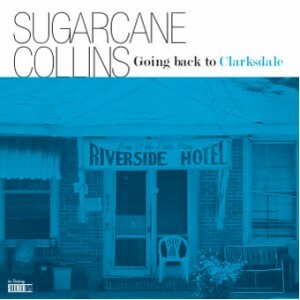 You can check out more of Sugarcane Collins' music at his website. Be sure to come back next week as we continue our look at the Blues Down Under. Let’s go to the Mississippi Delta today, shall we? Today, we’ll hear some local musicians that may have slipped through the cracks, especially for newcomers to the blues. First up is the legendary Otha Turner. Turner was a part-time musician and a full-time farmer. 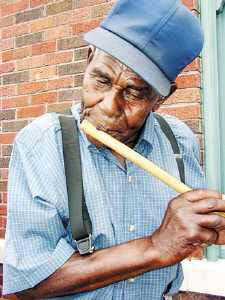 He specialized in playing fifes that he made himself from river cane. Fife players were once proficient in the Delta, but Turner was one of the last ones when he passed on in 2003. He was also famous for his Labor Day picnics when he would slaughter and cook a goat in an iron kettle for his friends while entertaining family with his band, the Rising Star Fife and Drum Band. Eventually, it grew from family gathering to include fans from all over the world. Turner died in 2003 at the age of 94. His daughter Bernice, who had been living in a nursing home for some time suffering from cancer, died that same day. She was 48. Funeral services were held for Otha and Bernice and a procession leading to the cemetery was led by Turner’s band, with 13 year-old Sharde' Thomas, Otha's granddaughter, at its head playing the fife taught to her by her grandfather. Turner played many traditional tunes with his band. This is one of them…..”Granny, Will Your Dog Bite?” Not the usual blues sounds you hear at FBF, but blues nonetheless. Next up is R.L. Boyce, who got his start in Turner’s band, playing the bass drum. Boyce is also a guitarist and has weekly house parties of his own in Como, MS on Sundays. 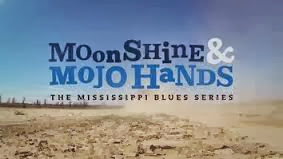 The documentary M for Mississippi captured one of these parties on film, which should be essential viewing for blues fans. It was not only filmed but the music was recorded for a soundtrack. The recording engineer, Bill Abel, worked out of the back of a Volvo station wagon, with sound equipment where his back seat used to be. He did all this during a thunderstorm with wires of all kinds coming from the house to the Volvo outside. The interview with Boyce was also classic, riddled with multiple interruptions ranging from barking dogs to drunken party goers….all captured on film. Check out the documentary sometime at www.mformississippi.com. Here’s Boyce with "Hill Country Stomp." 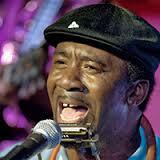 More traditional fare is coming up, with Terry “Harmonica” Bean. Bean is a relative youngster in the blues, in his mid 50’s. He plays guitar and harmonica and sings. He started out as a stud athlete in high school, working on a baseball scholarship, but suffered a career-ending injury. He took up the blues and now tours throughout the state and the country. He was also recorded for M for Mississippi, at the Ground Zero Blues Club, singing “I’m A Bluesman.” Bean once was only a harmonica player, but learned to play the guitar after his band stood him up a couple of times. 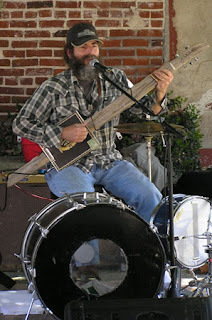 Speaking of one-man bands, here’s the aforementioned Bill Abel, from Belzoni, MS. Abel was that poor guy recording the R.L. Boyce house party in the rain. 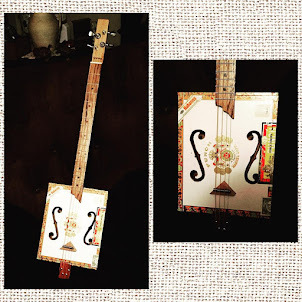 He’s also a noted painter and musician who makes and plays guitars made out of cigar boxes and anything else he can find. Very cool. 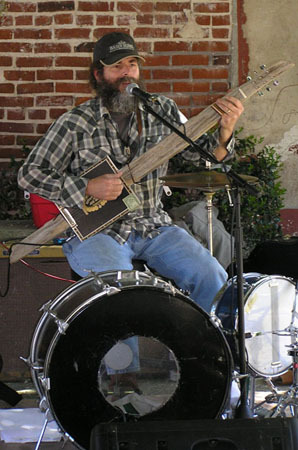 He recently released his own disc, called One-Man Band, and played all the instruments on it with no overdubs at all. Check him out on one of his homemade guitars. When Corey Harris decided to record his Mississippi To Mali disc, he was going to use Othar Turner, but Turner passed away the week before recording was to begin. Harris decided to use Turner’s band with his granddaughter, Sharde' Thomas, in her grandfather’s place. Here’s one of their tracks from the disc, “Back Atcha,” with Harris joining the band on guitar. Mississippi To Mali took Harris from the Mississippi Delta to Africa and he used both Mississippians (Turner’s band along with Bobby Rush and Sam Carr) and Africa (Ali Farka Toure and his band). Ms. Thomas can presently be heard with the North Mississippi Allatars, both live and in the studio.....she did this song with the Allstars on their recent World Boogie Is Coming album. Here’s Harris, with accompaniment from Rush and Carr, singing an old Tommy Johnson classic, “Big Road Blues," also on Mississippi To Mali. Tommy Johnson was from Crystal Springs, and the character in the movie O Brother, Where Art Thou is loosely based on him. Johnson had several big hits on the blues circuit in the 30’s, including this song and “Canned Heat Blues,” which inspired the name of the blues/rock band. 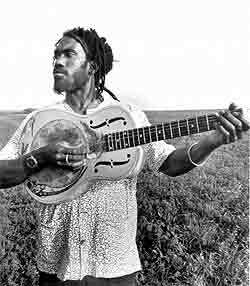 Harris is one of the few modern country blues artists these days, but has begun to dabble more and more in world music, notably reggae, to the point where his last few releases have been placed the blues in more of secondary role. 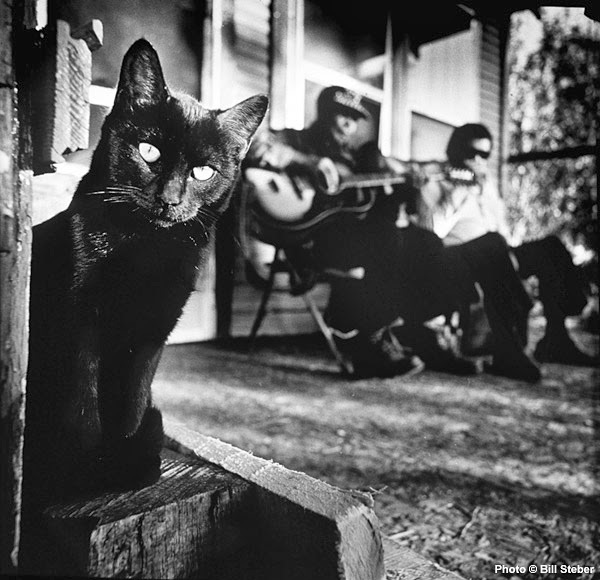 Finally, here’s some Delta Blues from a different perspective. Several years ago, I met a drummer from Denmark on the Blues Access message board who was trying to find some information on the great Fred Below. Turned out that he was in a band that was releasing a disc in America and needed someone to check their English, so he asked me to do it. I ended up getting a "Thank You in the acknowledgements on their CD. Their band was called Lightin’ Moe and the Peace Disturbers and they played really good traditional blues. Five years later, the drummer, named Tim Lothar Petersen, decided to teach himself how to play guitar and embarked on a solo career playing Mississippi Delta blues in Europe. He sent me a copy of his first solo disc and it was incredible how fast he was able to learn to not only play guitar, but sing (he had never done either in public before 2006). He was selected as Danish Blues Musician of the Year for 2008 and enjoys a big following now in Europe. He sent me a copy of his next disc, 2008's In It For The Ride, and it had a great song originally done by Delta blues legend Charley Patton, called “Shake It And Break It.” Here's a terrific live version with Peter Nande and Mik Schack providing support. I'm hopeful that Tim will sit down for Ten Questions in the near future. 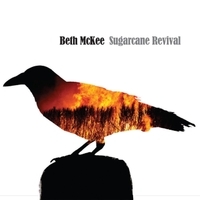 Beth McKee - Sugarcane Revival (Swampgirl Music): The talented singer/songwriter returns to her musical roots with her third release......the music of Louisiana, Texas, and her native Mississippi. The result is her best and most personal album yet. The common themes on many of these thirteen tracks is restlessness and discovery. This is some of the best songwriting that I've heard in a while. It's highly personal, but listeners can relate to them with ease. We all deal with these same issues, and like she points out, the solutions are usually right there in front of us and, a lot of times, it's up to us to get to them or through them. McKee sounds fabulous on these tunes.....she's easily one of the finest, most expressive singers currently practicing, and there's a great list of musicians lending support......her husband, drummer Juan Perez, guitarist Tommy Malone of the subdudes, guitarist Tony Battaglia, fiddle player Jason Thomas, and her former Evangeline bandmate Rhonda Lohmeyer on mandolin. 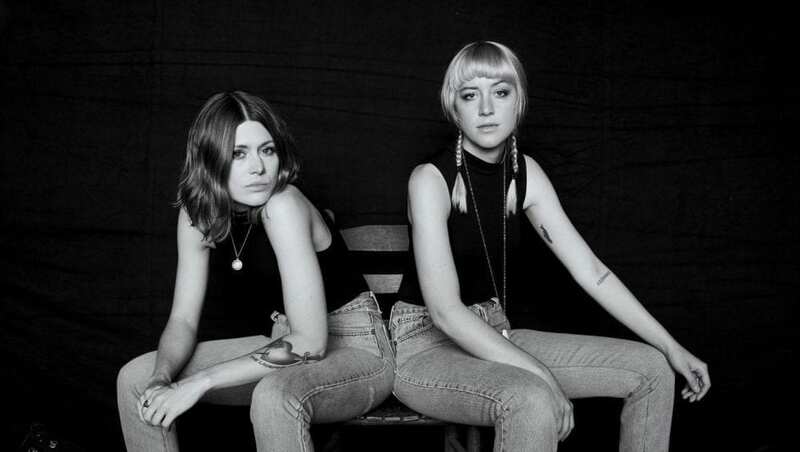 Sugarcane Revival is McKee's best album so far, and one of the best you'll hear this year. Check out FBF's Ten Questions with McKee from 2012 here. 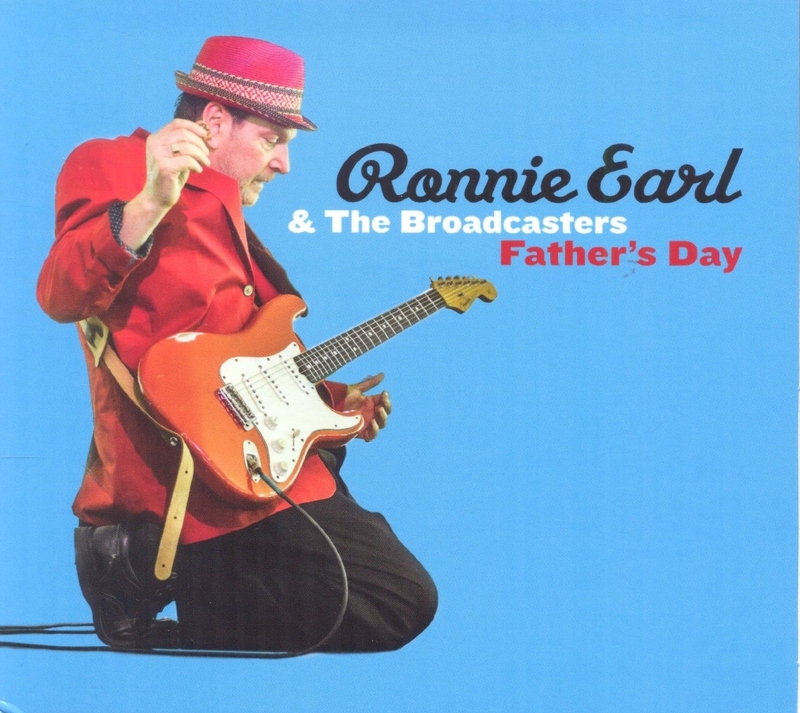 Ronnie Earl & The Broadcasters - Father's Day (Stony Plain Records): Earl's ninth album for Stony Plain is a bit different from his last few releases. For the first time in many years, Earl uses a full horn section, and vocalists (Diane Blue and Mike Ledbetter) are featured on all but one of the thirteen tracks. Guitar fans shouldn't be concerned though, because Mr. Earl still gets plenty of room to astound and amaze with his endlessly inventive fretwork, and while Ms. Blue and Mr. Ledbetter do a wonderful job with their vocals, Earl's guitar is so soulful and so intense that it practically serves as a third vocalist. The track list are mostly covers from many of Earl's influences....a couple from Otis Rush and Magic Sam apiece, plus tunes associated with the two, and a really nice tribute to B.B. King. Father's Day is dedicated to Earl's father, a Holocaust survivor and the title track is about the guitarist making peace with his father shortly before he died last year. This is a marvelous album that blues guitar fans need to get their hands on. 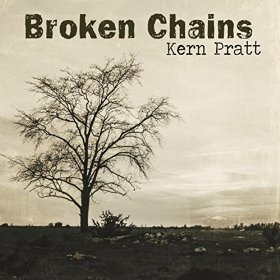 Kern Pratt - Broken Chains (Gigtime Records): Mississippi native Pratt has played guitar for a variety of artists ranging from Willie Foster and T-Model Ford to Eden Brent to Percy Sledge to Steve Azar, so you can imagine that he's pretty skilled at playing in a number of different styles. That's obvious from listening to his latest release as his brand of blues mixes in rock, funk, and R&B. Book-ended by some sweet resonator guitar, Pratt rips through a stellar set of originals and covers. 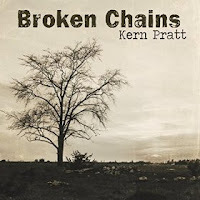 Pratt gets help from Kenny Neal on one track and Ms. Brent on another, and a horn section which really kicks things up a notch. 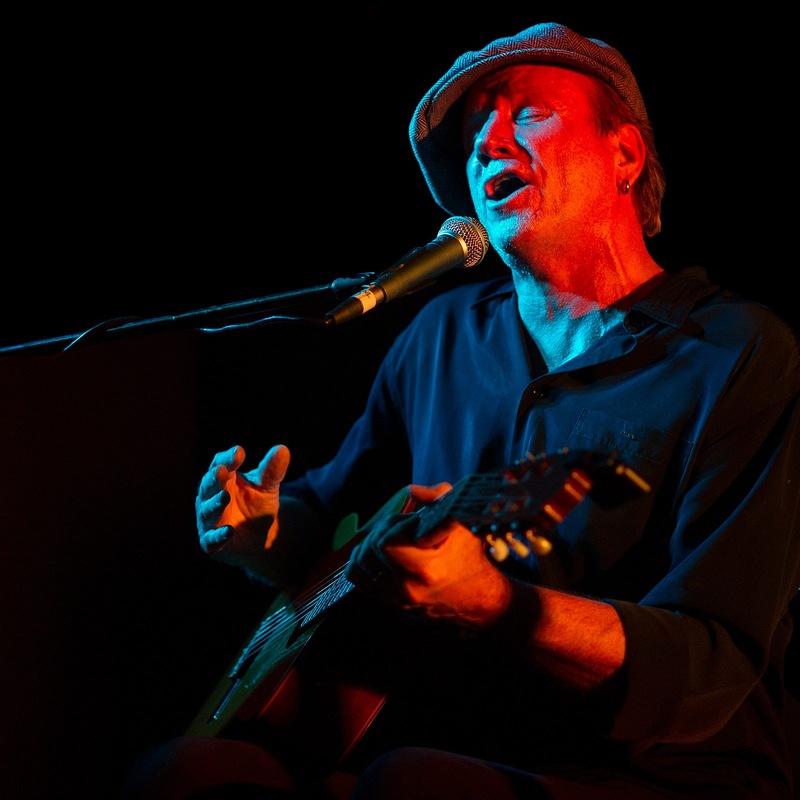 Pratt finished in 2nd Place in the 2013 IBC and he shows here that he's a first-rate songwriter as well as a guitarist and singer with deep roots in the music of his home state. This will appeal to blues fans and blues rockers equally. David Michael Miller - Same Soil (Food For The Soul Records): Miller's last CD, Poisons Sipped, was an FBF favorite last summer for it's compelling mix of blues, gospel, and soul. Let's just say that if you liked that disc, you will love this one. 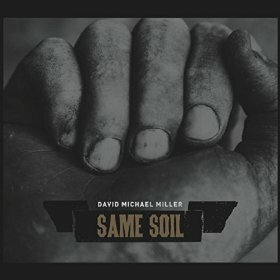 Miller pays tribute to many of his influences, such as Muddy Waters, Bo Diddley, and Jimmy Reed, on these original tunes, which range from blues-rock to soul to funk and R&B to gospel. Miller's vocals are as powerful as they were on his previous release, even more so, and I really like his songwriting on these tunes. This guy would be a household name if there was any justice in the world. I can see fans of music from Robert Cray or Al Green or Robert Randolph, as well as traditional blues fans really digging this one. Bert Deivert & Copperhead Run - Blood In My Eyes For You (Rootsy Records): There aren't a lot of blues mandolin players on the current blues scene.....Ry Cooder, David Grisman, and Steve James all record the occasional mandolin track, but pickings are pretty slim. Bert Deivert was born and raised in the U.S., but moved to Sweden in the 70's. He's worked with a number of musicians in blues, rock, rockabilly, and roots music over the years and has spent time in Mississippi in recent years, playing with soem of the local talent. This new release features his interpretation of several classic blues tunes. 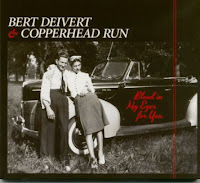 His mandolin playing really gives these old tunes a new shine and the Swedish band Copperhead Run provides excellent support. There are older tunes from Big Joe Williams, Son House, the Mississippi Sheiks, and Sleepy John Estes, plus newer tunes from Paul "Wine" Jones, R.L. Burnside, and the mandolin legend Yank Rachell. This is a really interesting and unique approach to the blues, thanks to Deivert's work on the mandolin. 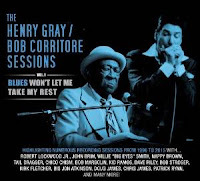 The Henry Gray & Bob Corritore Sessions - Volume 1: Blues Won't Let Me Take My Rest (Delta Groove Music): Piano man Henry Gray turned 90 in January of 2015 and he has enjoyed a long, productive career, backing Howlin' Wolf in the 50's and 60's, and doing session work on many of the legendary recordings of the same period for Chess, Vee-Jay, United, and other labels, backing Jimmy Reed, Bo Diddley, Jimmy Rogers, Little Walter, and others. He's still going strong and this set, with Bob Corritore on harmonica, contains 14 songs, mostly standards, recorded over 19 years. Backed by a veritable all-star team of blues musicians, Gray and Corritore sound great and you'd never know that nearly 20 years have passed during the recording of these tracks. The best thing about this set is in the title......Volume 1. That means that there's more music from these two in the can somewhere and hopefully we will get the chance to hear it soon.